CLARION, Pa. (EYT) – A sad, emotional day would be the only way to describe the scene inside the second-floor courtroom at the Clarion County Courthouse on Wednesday when Damien Ditz of Clarion was sentenced for the murder of his girlfriend Katrina Seaburn of Curwensville by Clarion County Judge James Arner. A fairly packed courtroom that included over 50 people in support of Seaburn, many of them wearing a purple memorial shirt with Seaburn’s picture on the front and “Justice for Katrina” written on the back, as well as a handful of Ditz’s family members listened to both Tammy Seaburn, Katrina’s mom, and Fred Ditz, Damien’s dad, plead with Arner for what they believed should be a proper sentence. Damien Ditz, himself, also talked briefly stating he loved Katrina and did not murder her – despite a jury of seven women and five men finding him guilty of third-degree murder on December 7, 2018. 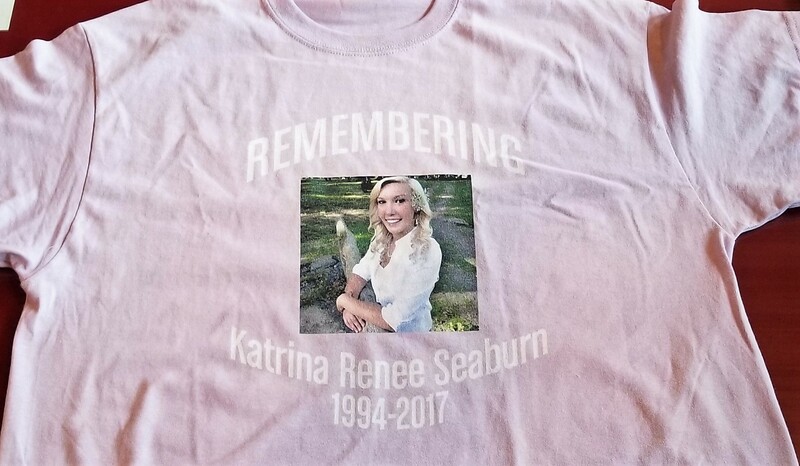 Shirt worn by family and friends of Katrina Seaburn at the sentencing hearing for Damien Ditz, her boyfriend who was found guilty of killing her on March 1, 2017. In the end, no one was overly satisfied when Arner handed down a sentence of 10 to 20 years, and the judge himself acknowledged as much prior to handing down the sentence. In a passionate plea to Arner, Tammy Seaburn had asked the judge to give Ditz the maximum sentence allowed by law, 40 years. Tammy Seaburn told Arner of how Katrina grew so quickly and how her daughter loved both the outdoors and twirling her baton. Tammy Seaburn said her daughter was a multi-talented student-athlete who also played soccer, softball, volleyball, and basketball at Curwensville. “She gave more than 100 percent to her coaches, teammates, and school district,” Tammy Seaburn said. 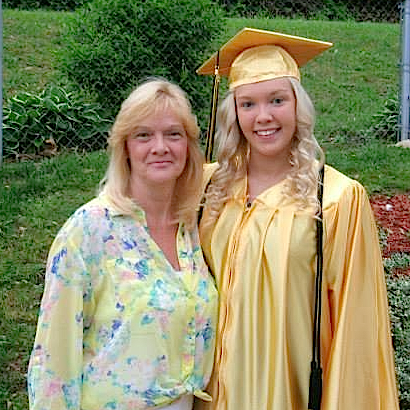 Saying her daughter, a 2013 graduate of Curwensville, was also a great student, Tammy Seaburn told the judge that Katrina graduated in the Top 10 of her class and was a member of the National Honor Society. Tammy Seaburn went on to say that Katrina joined the Clarion University marching band and majorettes. “She was a captain three of her four years,” Tammy Seaburn said. According to Tammy Seaburn, when her daughter came home for the summer in 2014, 2015, and 2016, she was always single. But, every time she went back to Clarion, Ditz would find his way back into her life. “Damien worked his way back into her life and manipulated her when she was in Clarion,” Tammy Seaburn said. According to Tammy Seaburn, her life was turned upside down the day Ditz shot and killed her daughter on March 1, 2017, at a trailer park near Lake Lucy, in Washington Township, Clarion County, Pa.
Tammy Seaburn told Arner how just looking at Katrina’s photos reminds her of how she will never get to take another picture of her daughter. Tammy Seaburn pleaded with Arner to take a stand against domestic violence. Tammy Seaburn wasn’t the only one to make an emotional plea to Arner, as Fred Ditz gave a much briefer but no less heartfelt plea to the judge. Damien Ditz also addressed Tammy Seaburn and the others who were there to support Katrina Seaburn. Tammy Seaburn wasn’t taking Damien Ditz’s statement to heart, and during her plea to Arner, she turned to Ditz and addressed him personally.